29/07/16 -- EU grains closed mixed on the day but mostly lower for the week. 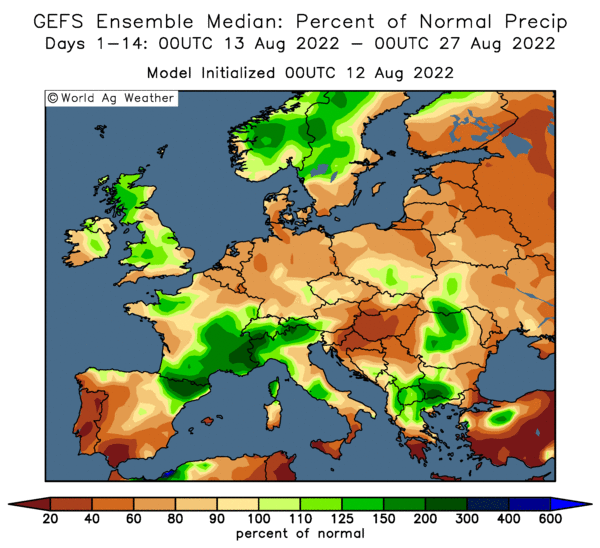 The market is struggling to decide between some very low crop forecasts for France in particular, along with some less worrisome estimates for the rest of Europe and beyond. The day ended with benchmark Nov 16 GBP0.70/tonne higher at GBP125.70/tonne. Sep 16 Paris wheat traded up EUR04.25/tonne at EUR166.00/tonne, Aug corn was EUR1.25/tonne lower at EUR168.75/tonne and Nov16 Paris rapeseed was EUR0.750/tonne firmer at EUR362.00/tonne. For the week. that puts London wheat down GBP0.30/tonne, Paris wheat down EUR8.00/tonne, corn EUR2.75/tonne weaker and rapeseed up EUR1.25/tonne. The IGC estimated the global wheat crop at 735 MMT, up 6 MMT from previously. The EU all wheat crop was placed at 149.0 MMT, down 5.6 MMT from last month (and soft wheat at 139.9 MMT). 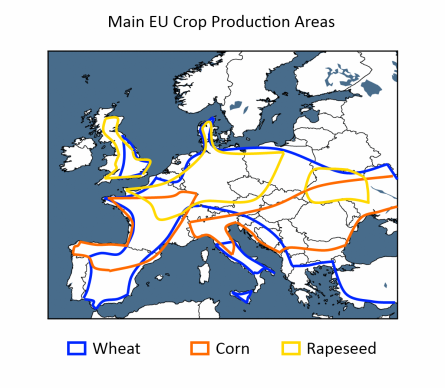 ODA just yesterday forecast an EU soft wheat crop of only 134 MMT, whilst the USDA currently predict an EU all wheat crop of 156.5 MMT, so there are some fairly wide differences of opinion there. The IGC estimate EU all wheat exports in 2016/17 at 30.8 MMT, down 3.8 MMT on a month ago and 13.7% below those of last season, whilst the USDA are still at 34.0 MMT. The IGC upped their forecast for Russian wheat production from 63.0 MMT to 67.5 MMT, as well as Ukraine (23 MMT to 25 MMT), Australia (25.5 MMT to 26.0 MMT) and the US (56.6 MMT to 61.5 MMT). The Russian Ag Min said that their 2016 grain harvest was 22.5% complete on 10.7 million ha for a crop of 41.4 MMT to date. Wheat production stands at 33.3 MMT off 29.1% of plan. Brussels announced that they'd released 413 TMT worth of soft wheat export licences this past week, which takes the new season total so far to 2.2 MMT versus 1.6 MMT a year ago. FranceAgriMer cut French winter wheat crop ratings again, down 2 points on a week ago to 42% (77% this time in 2015). They said that harvesting of wheat is now 41% complete (barley 100% done). At home, ADAS said that the UK 2016 barley harvest was 35% complete, and that 15% of the OSR crop was in the barn. Yields for both vary quite dramatically, but typical barley yields are coming in at around 6.0-6.6 MT/ha and at 2.9-3.4 MT/ha for OSR. The German harvest is progressing nicely and yields/quality are said to be not as bad as some had feared. Most of the wheat crop in the south will only make feed grade though. 28/07/16 -- Soycomplex: Soybeans closed lower. The USDA reported net weekly export sales of just 1,400 MT for 2015/16, and 678,200 MT for new crop. Trade estimates had been for combined sales of 800,000 MT to 1.2 MMT. The USDA also announced net sakes of 457,000 MT of beans to unknown/China split across both marketing years under the daily reporting system. Weekly shipments reached 698,531 MT - the largest weekly total since March. Aug 16 Soybeans settled at $10.03 1/2, down 7 cents; Nov 16 Soybeans settled at $9.78, down 8 cents; Aug 16 Soybean Meal settled at $341.50, down $3.30; Aug 16 Soybean Oil settled at 29.49, down 4 points. Corn: The corn market closed lower. Weekly export sales came in at 438,800 MT for 2015/16 and 476,500 MT for 2016/17. Pre-report estimates were for sales of 750 TMT to 1.0 MMT for both marketing years combined. Exports of 1,379,800 MT were up 11 percent from the previous week and 5 percent from the prior 4-week average. The primary destinations were Mexico (272,600 MT), South Korea (272,200 MT), Japan (231,000 MT), Saudi Arabia (122,000 MT), Colombia (76,200 MT) and Taiwan (72,100 MT). South Africa's CEC estimated the corn crop there at 7.26 MMT, up from 7.16 MMT previously (USDA: 6.5 MMT). Sep 16 Corn settled at $3.31 1/4, down 4 1/2 cents; Dec 16 Corn settled at $3.38 3/4, down 4 1/4 cents. Wheat: The wheat market closed lower. Weekly export sales of 506,100 MT were in line with trade estimates of 400-600 TMT. These included 39,900 MT for Brazil. Exports of 549,900 MT were up 53 percent from the previous week and 25 percent from the prior 4-week average. The primary destinations were Japan (178,200 MT), Chile (92,200 MT), Brazil 59,900 MT), Taiwan (56,800 MT), Peru (49,500 MT), Thailand (27,000 MT) and Mexico (25,700 MT). Brazil will produce 6.29 MMT of wheat this year according to Conab, Safras say 6.175 MMT (2015: 5.52 MMT). Egypt bought Russian and Romanian wheat in it's tender. Sep 16 CBOT Wheat settled at $4.10 1/4, down 4 1/2 cents; Sep 16 KCBT Wheat settled at $4.09, down 3 1/2 cents; Dec 16 MGEX Wheat settled at $5.01 3/4, down 2 cents. 28/07/16 -- EU wheat closed mostly firmer as more crop downgrades continue to come in for France and European wheat. At the close Nov 16 London wheat was up GBP1.25/tonne at GBP125.00/tonne, Sep 16 Paris wheat was up EUR2.00/tonne to EUR165.75/tonne, Aug Paris corn was up EUR0.25/tonne at EUR170.005/tonne and Aug 16 Paris rapeseed was EUR3.25/tonne higher at EUR361.25/tonne. ODA released an EU-28 soft wheat production estimate of 134.0 MMT, down 17 MMT (or 11%) on last year. 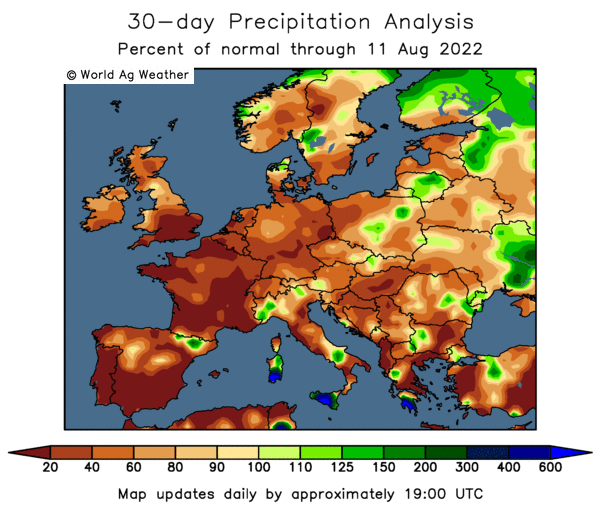 They said that the French crop may only muster 30.4 MMT, with the potential to further deteriorate to just 29.4 MMT as the harvest moves north. 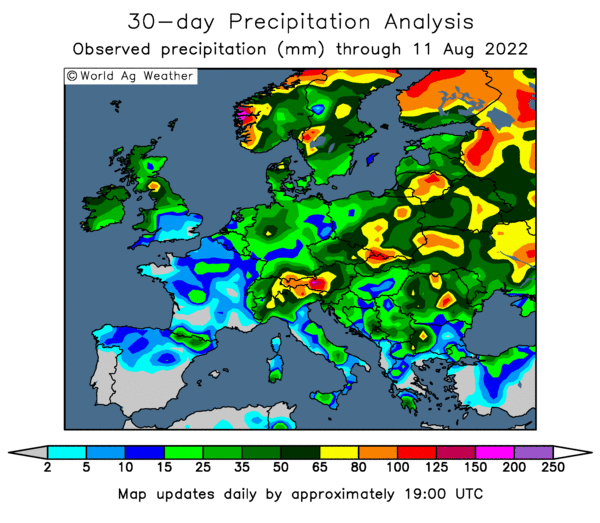 The USDA's attache in Europe is predictably less concerned, predicting an EU-28 all wheat crop of 154.5 MMT, down 4% from last year's 160 MMT (durum wheat production in Europe is typically around 8-9 MMT in any given year). 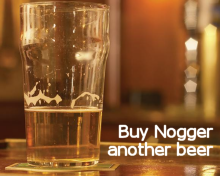 They did however warn that production could be lowered again as the harvest progresses. They see 2016/17 exports at 4-year low of 30.5 MMT, down 9% compared to 2015/16. Rabobank came in a bit lower in production than the USDA at 154.0 MMT. Production and export estimates for Russia continue to rise to new record levels as they look well placed to take advantage of Europe's misfortune this season. IKAR raised their forecast for the 2016 Russian grain crop by 2 MMT to 114 MMT (2015: 104.8 MMT), with wheat output up 1 MMT to a record 69 MMT and exports at a record 29 MMT (2015/16: 24.5 MMT). Rabobank have the Russian wheat crop at 65.6 MMT and 2015/16 grain exports at 27.1 MMT. They also see this year's Australian wheat crop at an impressive 26.7 MMT (USDA: 25.5 MMT). Egypt tendered for wheat for Sep 1-10 shipment, booking one cargo each of Romanian and Russian wheat. French wheat wasn't offered. Rumour suggests that France may even have bought a cargo of Romanian wheat themselves to bolster concerns over new crop quality. 27/07/16 -- Soycomplex: Beans closed with decent double digit gains as the weather forecast switched back to warmer and drier. August is seen as the key yield determining month for beans. The USDA reported 131,000 MT of US soybeans were sold to China split roughly 50:50 old/new crop. Trade estimates for tomorrow's weekly export sales report for beans go for sales of 800,000 MT to 1.2 MMT. 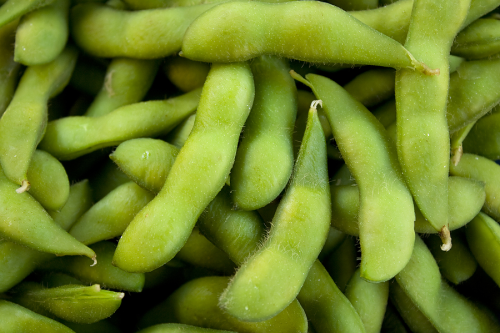 Aug 16 Soybeans settled at $10.10 1/2, up 17 cents; Nov 16 Soybeans settled at $9.86, up 12 1/4 cents; Aug 16 Soybean Meal settled at $344.80, up $3.40; Aug 16 Soybean Oil settled at 29.53, down 3 points. Corn: The market closed around 3 cents higher, with the switch to hotter and drier adding support. US weekly ethanol production of 998,000 barrels per day was down 31,000 bod from last week's record. The USDA's FAS in Europe put corn production there at 62 MMT (USDA: 63.83 MMT). The USDA said that 247,912 MT of US corn was sold to unknown destinations under the daily reporting system. Trade estimates for tomorrow's weekly export sales for corn are 750 TMT to 1.0 MMT. Sep 16 Corn settled at $3.35 3/4, up 3 1/4 cents; Dec 16 Corn settled at $3.43, up 3 1/2 cents. Wheat: The wheat market ended little changed across the three exchanges. France remains a big talking point with one firm cutting their 2016 average wheat yield estimate for Europe's largest producing and exporting nation to 5.5 MT/ha. That implies production of 28.7 MMT using the official Ag Min area estimate. Output in 2015 was 40.9 MMT. South Korea were said to have rejected an Argentine cargo of wheat on GMO grounds. Ukraine said that they'd harvested 68% of this year's wheat crop producing 16.61 MMT to date. Trade estimates for tomorrow's weekly export sales are 400-600 TMT. Sep 16 CBOT Wheat settled at $4.14 3/4, down 1/4 cent; Sep 16 KCBT Wheat settled at $4.12 1/2, up 1/2 cent; Dec 16 MGEX Wheat settled at $5.03 3/4, up 1 1/4 cents. 27/07/16 -- EU grains finished mostly a touch lower, with wheat in particular consolidating from recent gains. The day ended with Nov 16 London down GBP0.55/tonne at GBP123.75/tonne, Sep 16 Paris wheat was EUR2.50/tonne lower at EUR163.75/tonne, Aug corn was down EUR0.25/tonne at EUR169.75/tonne and Aug 16 rapeseed was up EUR1.50/tonne to EUR358.00/tonne. The jury is still out as to exactly how bad the French wheat crop is. CRM AgriCommodities today released an average yield estimate for France of only 5.5 MT/ha, a 30-year low. Using the Ag Ministry's own area estimate of 5.22 million ha, that would give us a final production figure of only 28.71 MMT - and that is assuming that everything gets cut and doesn't go for whole crop silage or similar. The yield figure of 5.5 MT/ha is well below the 7.23 MT/ha served up to us by MARS earlier in the week. ODA suggested production "below 30 MMT this week and Agritel say 30-32 MMT. The official French Ministry estimate of 37 MMT was only released as recently as Jul 12. Production last year was officially 40.7 MMT, so these private numbers are suggesting a drop of 8.7-12 MMT this year, or 21-29%. Either way, large carryover stocks from 2015/16 suddenly don't seem so important, they are in fact necessary. The uncertainty will no doubt have been a factor in the lack of French offers at the two recent Egyptian tenders. If we switch our attention to the UK now, MARS came up with an average wheat yield of 8.09 MT/ha for us this year in this week's report. 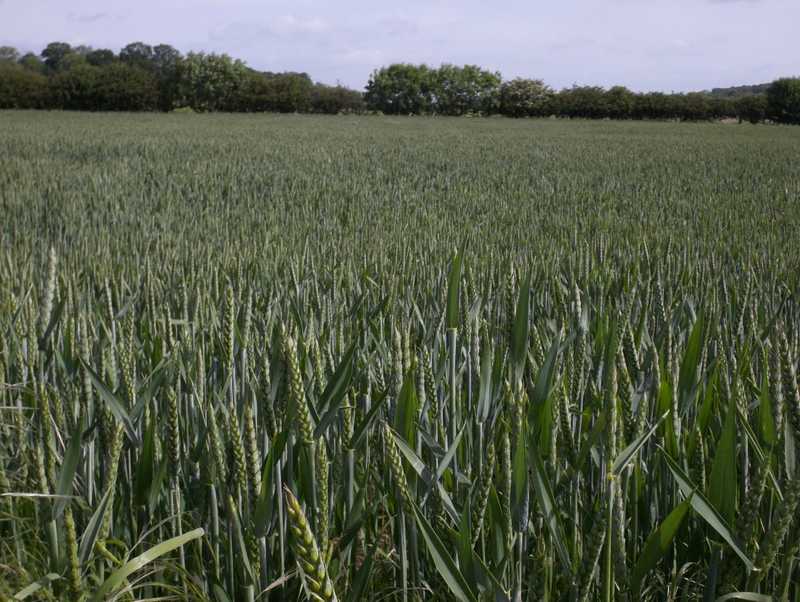 Multiplying that out by 1.794 for the GB wheat area from the HGCA gives a 2016 wheat crop of 14.5 MMT against 16.44 MMT last year - down 11.8%. For OSR, the HGCA have a England & Scotland OSR area of 591k ha, add on another 5k ha for Wales (the area planted in 2014 and 2015) and multiply up by a MARS average yield of 3.17 MT/ha this year and we get a 2016 UK OSR crop of 1.89 MMT. Note that early yields OSR and barley in the UK are so far said to be pretty disappointing and it looks like the MARS yield figures could be a bit overstated. MARS said themselves that there is "a high margin of uncertainty in our yield forecasts" for the UK this year. So the French wheat crop could be 12 MMT down on a year ago, and the UK may have lost another 2.0-2.5 MMT, with Germany expected down a similar amount. Interesting, especially come the second half of the season once cheap FSU offers start drying up. UKraine said that their early grain harvest was 69% complete on 3.69 million ha for a crop of 24.79 MMT to date. That includes 16.61 MMT of wheat off 68% of plan. They've also harvested 7.39 MMT of barley off 78% of plan and 81% of their OSR for a crop of 962 TMT so far. 26/07/16 -- Soycomplex: Soybeans closed higher, consolidating recent losses in modest "Turnaround Tuesday" style. Fresh news was scarce. US soybean export demand remains robust, with record July exports on the cards. US crop conditions lean bearish however. More than one analyst has demand from "insatiable" China dropping in 2016/17. South American growers might plant fewer beans in favour of corn for next season it is being mooted. Aug 16 Soybeans settled at $9.93 1/2, up 9 3/4 cents; Nov 16 Soybeans settled at $9.73 3/4, up 7 1/2 cents; Aug 16 Soybean Meal settled at $341.40, up $2.50; Aug 16 Soybean Oil settled at 29.56, up 10 points. Corn: The corn market closed around 1-2 cents lower. Media reports say that China sold only 4,019 MT of the 1.942 MMT of corn put up on offer at state auctions this week. US corn crop conditions held steady overnight where a 1 point reduction in good to excellent had been expected. MARS raised EU-28 corn yields from the 7.35 MT/ha predicted a month ago to 7.42 MT/ha, a 1% rise on the 6.93 MT/ha averaged last year. India are tendering to buy 200,000 MT of optional origin, non-GMO corn. Sep 16 Corn settled at $3.32 1/2, down 2 1/4 cents; Dec 16 Corn settled at $3.39 1/2, down 1 3/4 cents. Wheat: The wheat market closed with double digit losses. The EU's MARS raised soft wheat yields for 2016 from 6.07 MT/ha to 6.10 MT/ha, a 4.6% rise compared to a year ago. French wheat yields were lowered, but not by as much as might have been expected given some recent reports. Russia meanwhile could bring in a 113 MMT harvest this year, say Rusagrotrans. They forecast exports in August rising to 3.8-3.8 MMT, and 4.2-4.4 MMT in September. Russian 12.5% milling wheat prices for Aug delivery are $164-165/tonne, they said. Sep 16 CBOT Wheat settled at $4.15, down 14 cents; Sep 16 KCBT Wheat settled at $4.12, down 11 1/4 cents; Dec 16 MGEX Wheat settled at $5.02 1/2, down 10 1/2 cents. 26/07/16 -- EU grains closed mostly lower as the EU Commission's MARS unit moved to allay fears of wholesale crop downgrades across the continent. The day ended with benchmark Nov 16 GBP1.35/tonne lower at GBP124.30/tonne. Sep 16 Paris wheat traded down EUR4.25/tonne at EUR166.25/tonne, Aug corn was EUR0.75/tonne lower at EUR170.00/tonne and Aug 16 Paris rapeseed was down EUR1.50/tonne at EUR356.50/tonne. MARS raised their overall EU-28 soft wheat yield estimate from 6.07 MT/ha last month to 6.10 MT/ha, and a 4.6% rise on last year. They were also up slightly on corn, from 7.35 MT/ha to 7.42 MT/ha, a 1% increase versus 6.93 MT/ha a year ago. Barley yields were lowered slightly, from 5.01 MT/ha to 4.99 MT/ha (2015: 4.72 MT/ha), along with those for OSR - down from 3.24 MT/ha to 3.22 MT/ha (2015: 3.20 MT/ha). They downgraded expectations for French wheat yields, but not by that much - lowered 0.9 MT/ha to 7.23 MT/ha. "The poor conditions observed in late May continued in June with substantial rainfall, exceptionally low global radiation and near-average temperatures. Overly wet conditions led to saturated soils. Consequently, yield forecasts are revised downwards to average levels," they said. 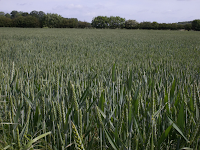 UK wheat yields were seen unchanged from a month ago at 8.09 MT/ha. "Crop development and biomass accumulation (in the UK) are mainly above average, but pest and disease pressure remain high. The yield forecasts remain close to or slightly above the five-year average," they noted. 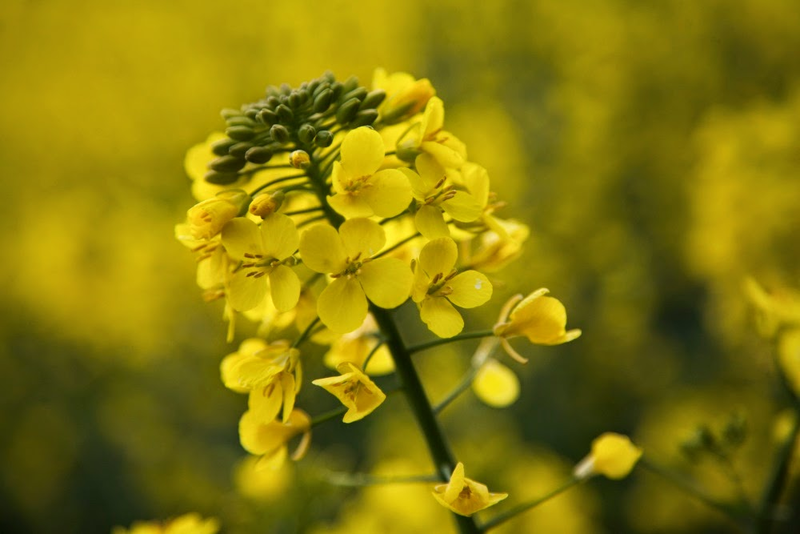 OSR yields in France were pegged 8.6% lower than a year ago at 3.26 MT/ha, and those in the UK 2.5% lower at 3.17 MT/ha. Elsewhere, big crops keep getting bigger. Rusagrotrans said that this year's Russian grain crop could reach 113 MMT - the highest they say since 1990. Wheat could account for 68.4 MMT of that total (record) and barley 17.8 MMT. Corn production still depends on August weather, but could exceed last year's record 13.2 MMT, they noted. 25/07/16 -- Soycomplex: Soybeans closed lower and back below $10/bu setting new lows for the recent move on Midwest rains. "Heavy rainfall doused the Midwest last week, at least one inch of rainfall but 3-4 inches in parts of Iowa, Illinois and Wisconsin. At least 85% of corn and soybean farms received a drenching rain, Nebraska the notable exception," said Martell Crop Projections. Weekly export inspections came in at 700,715 MT. Weekly crop conditions were unchanged at 71% good to excellent (62% a year ago). The USDA said that 76% of the crop is blooming (10 points ahead of average) and that 35% is setting pods (up 9 points on avg). Aug 16 Soybeans settled at $9.83 3/4, down 22 3/4 cents; Nov 16 Soybeans settled at $9.66 1/4, down 22 cents; Aug 16 Soybean Meal settled at $338.90, down $7.80; Aug 16 Soybean Oil settled at 29.46, down 75 points. 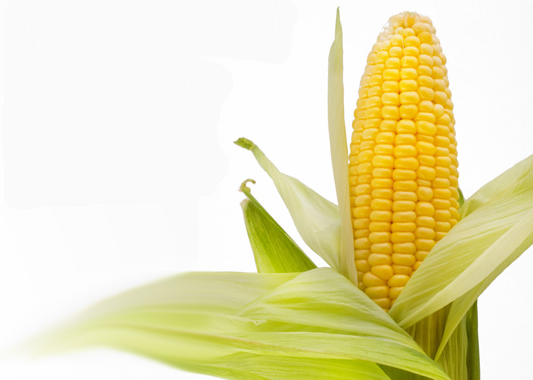 Corn: The corn market closed slightly lower. Weekly export inspections of 1.307 MMT continue to hold up at decent levels. The USDA had corn crop conditions unchanged after the close whereas the trade was expecting a 1 point drop to 75% good/excellent (70% a year ago). "The time worn adage is that 'rain makes grain', especially in July. This is the period when the critical pollination process occurs in corn. Tassels shedding pollen are captured by silks, each silk fertilizing individual kernels on the ear. Drought interferes with the fertilization process, leaving blank spots on the corn ear. Poor pollination in corn is not a worry this summer, however, because rainfall has been ample if not abundant," noted Martell Crop Projections. The USDA had 79% of the crop "silking" compered to 70% on average, and 13% of the crop at the "dough" stage (in line with the recent average). The Brazilian safrinha harvest is said to be 50% complete and the crop is in trouble. Sep 16 Corn settled at $3.34 3/4, down 1/4 cent; Dec 16 Corn settled at $3.41 1/4, down 1/2 cent. Wheat: The wheat market closed higher across the 3 exchanges. Support came for another crop downgrade for France, this time to 30 MMT or less from almost 41 MMT a year ago. Weekly export inspections of 549,894 MT were fairly good. The USDA said that 83% of the US winter wheat harvest is now complete versus 79% on average. Spring wheat is 68% good to excellent, down 1 point from a week ago. The USDA's FAS in Argentina estimated winter wheat plantings there at 4.6 million ha (up from 3.765 million ha a year ago). They see production in 2016/17 at 13.7 MMT (2015: 11.3 MMT), with exports at 7.5 MMT of which 4-5 MMT will go to Brazil. Morocco tendered for 133,000 MT of soft wheat. Iran were said to have bought 350,000 MT of EU/Baltic hard wheat for Oct/Nov shipment. Syria are tendering for 150,000 of soft wheat. I'd expect Egypt to be back in the market soon also. The Tunisian grain harvest is said to be 90% complete. Dec 16 CBOT Wheat settled at $4.56 1/4, up 6 cents; Dec 16 KCBT Wheat settled at $4.49 1/2, up 4 1/2 cents; Dec 16 MGEX Wheat settled at $5.13, up 2 cents. 25/07/16 -- EU wheat closed mixed - and well off session highs - which were set early in the day following more bad news for the French wheat crop. At the close Nov 16 London wheat was down GBP0.40/tonne at GBP125.675/tonne, Sep 16 Paris wheat fell EUR3.50/tonne to EUR170.50/tonne, Aug Paris corn was down EUR0.75/tonne at EUR170.75/tonne and Aug 16 Paris rapeseed was EUR0.25/tonne higher at EUR358.00/tonne. Nov 16 London wheat had earlier touched GBP128.50 - it's best level since early November. Sep 16 Paris wheat meanwhile hit EUR177.25/tonne - a level not seen since January. Having downgraded the French wheat crop to 32 MMT from 35 MMT just last week, ODA went one further today calling the crop at 30 MMT or less - a 40-year low. They are now the most bearish of the private estimates (Agritel go 32 MMT) but not by an outrageous amount. Production last year was almost 41 MMT, so despite a larger than normal carryover into 2016/17 French exports are clearly going to be hit quite hard, especially in the second half of the season one would imagine. Production in Germany is forecast 19% lower by Agritel at 26 MMT, and in Poland it is seen 10% down at 10.7 MMT. The UK jury is still out, although output is definitely expected to drop here too. Russia's wheat harvest has no such troubles foreseen, and is complete on 7.2 million ha for a crop of 29.8 MMT so far. The barley harvest is complete on 1.1 millin ha for a crop of 3.8 MMT to date. Their grain exports via seaports picked up last week to 308,100 MT from 204,400 MT the previous week. Wheat accounted for 227,100 MT of that total. By contrast Ukraine's seaport exports fell to 149,500 MT from 423,500 MT), including 18,900 MT of wheat, 12,300 MT of corn and 115,200 MT of barley. 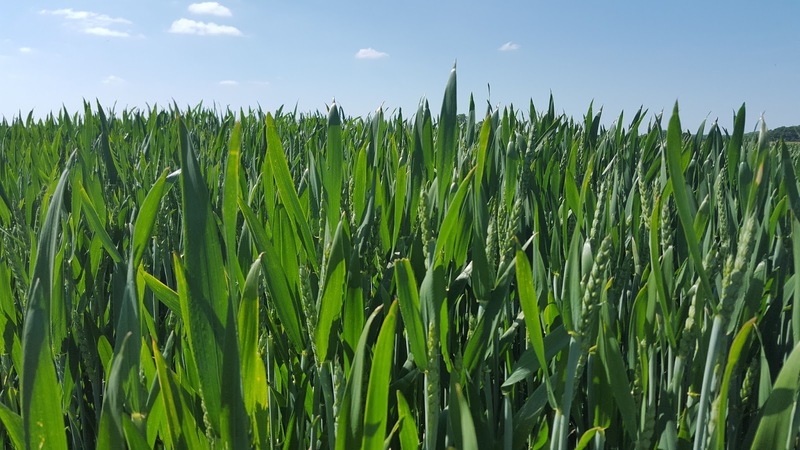 Kazakhstan will produce 13 MMT of wheat this year, down from 13.75 MMT a year ago as producers there diversify into other crops, say the Ag Min there. Morocco tendered for 133,000 MT of soft wheat. Iran were said to have bought 350,000 MT of EU/Baltic origin wheat for Oct/Nov shipment.